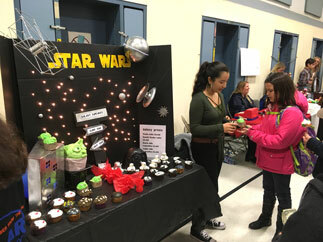 The Charter Home Study Academy (CHSA) multipurpose room was filled with eager customers traveling from booth to booth and purchasing homemade creations from student business owners. 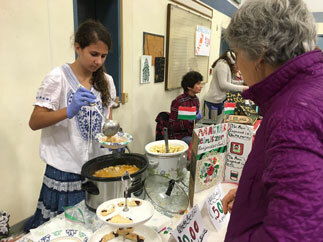 November 16 was CHSA’s annual Craft Faire where transitional kindergarten through eighth-grade students sold holiday decorations, hand-made toys, international cuisine, and more. The event, now celebrating its 19th year, exemplifies CHSA’s mission, which emphasizes empowering students by building and applying foundational skills in ways that make learning engaging, relevant, and fun. 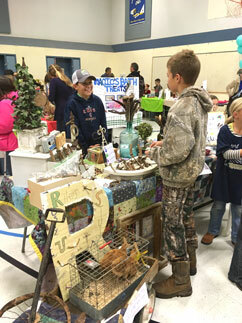 After selling their wares, vendors visited classmates’ booths to barter and purchase goods. Students also received prizes in categories such as Master Entrepreneurs, Best Marketing, Best Display and Most Innovative Products. The CHSA program serves families who choose to homeschool their children. Students have the option to attend classes in core content areas and continue their academics at home, or do their studies entirely at home. Lessons at home are guided by parents and supported by credentialed teachers.